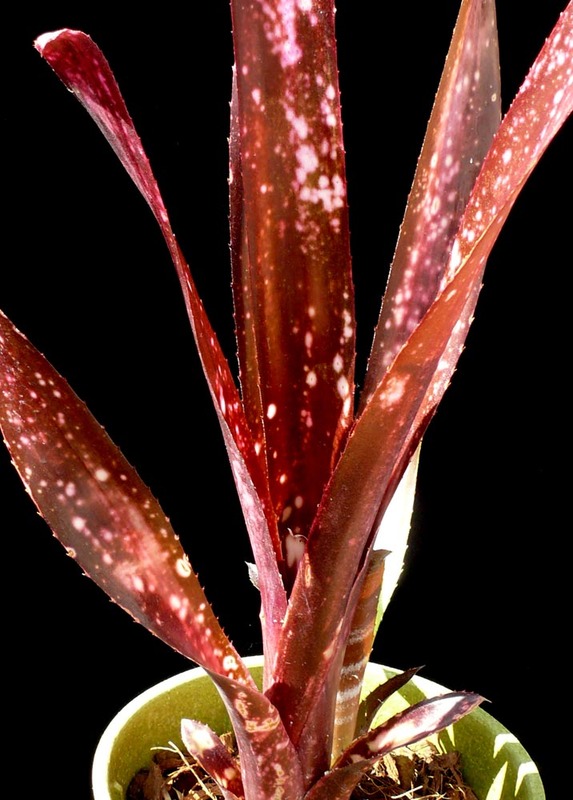 Terrestrial bromeliad to 1 to 2 feet tall with very strongly variegated/spotted leaves. 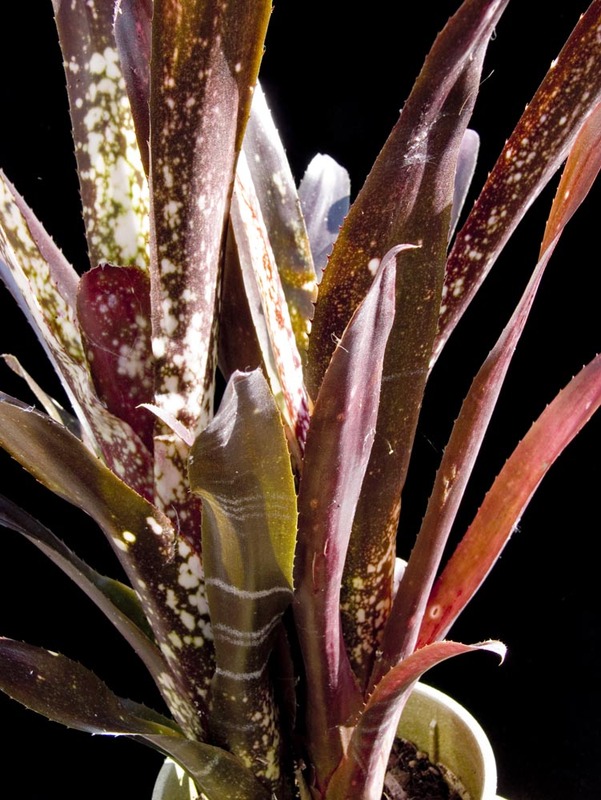 Glossy foliage, upright form, multicolored blooms. Grows quickly if not too wet.